Home / Pantry Items / Specialty Foods / Gluten Free / Gluten Free Meats /Refrigerated Foods / Linguica Products / Gaspar's Linguica Slices 1 lb. Home / Specialty Grocery / Specialty Foods / Gluten Free / Gluten Free Meats /Refrigerated Foods / Linguica Products / Gaspar's Linguica Slices 1 lb. 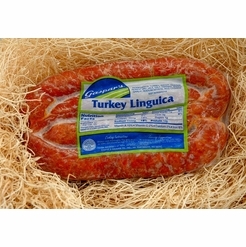 Home / Pantry Items / Meats & Seafood / Portuguese Meats & Seafood / Linguica Products / Gaspar's Linguica Slices 1 lb. 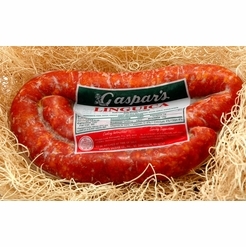 Home / New England Classics / Meats & Seafood / Portuguese Meats & Seafood / Linguica Products / Gaspar's Linguica Slices 1 lb. Home / Hot GIFT Ideas / Gifts For Him / Meats & Seafood / Portuguese Meats & Seafood / Linguica Products / Gaspar's Linguica Slices 1 lb. 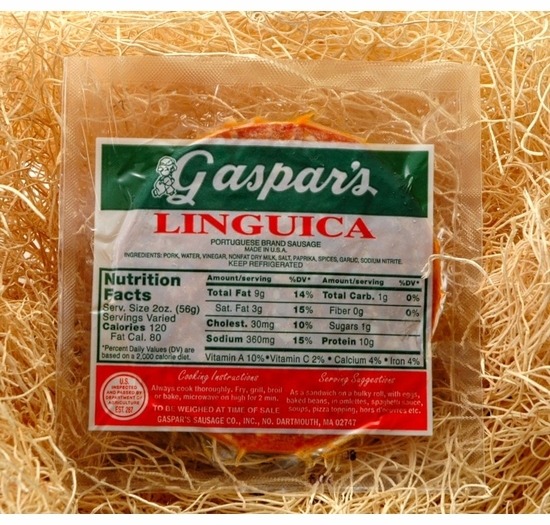 Home / Foods of New England / Meats & Seafood / Portuguese Meats & Seafood / Linguica Products / Gaspar's Linguica Slices 1 lb. Home / Meats & Seafood / Portuguese Meats & Seafood / Linguica Products / Gaspar's Linguica Slices 1 lb. Home / Specialty Grocery / Meats & Seafood / Portuguese Meats & Seafood / Linguica Products / Gaspar's Linguica Slices 1 lb. Home / Hot GIFT Ideas / Gifts For Him / Party Favorites / Meats & Seafood / Portuguese Meats & Seafood / Linguica Products / Gaspar's Linguica Slices 1 lb. Home / Local Portuguese Foods / Portuguese Meats & Seafood / Linguica Products / Gaspar's Linguica Slices 1 lb. Home / Pantry Items / Global Favorites / Local Portuguese Foods / Portuguese Meats & Seafood / Linguica Products / Gaspar's Linguica Slices 1 lb. Home / Specialty Grocery / Global Favorites / Local Portuguese Foods / Portuguese Meats & Seafood / Linguica Products / Gaspar's Linguica Slices 1 lb. Home / Pantry Items / Hometown Food Favorites / Global Favorites / Local Portuguese Foods / Portuguese Meats & Seafood / Linguica Products / Gaspar's Linguica Slices 1 lb. 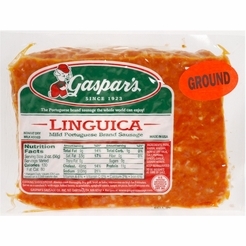 Home / New England Classics / Hometown Food Favorites / Global Favorites / Local Portuguese Foods / Portuguese Meats & Seafood / Linguica Products / Gaspar's Linguica Slices 1 lb. 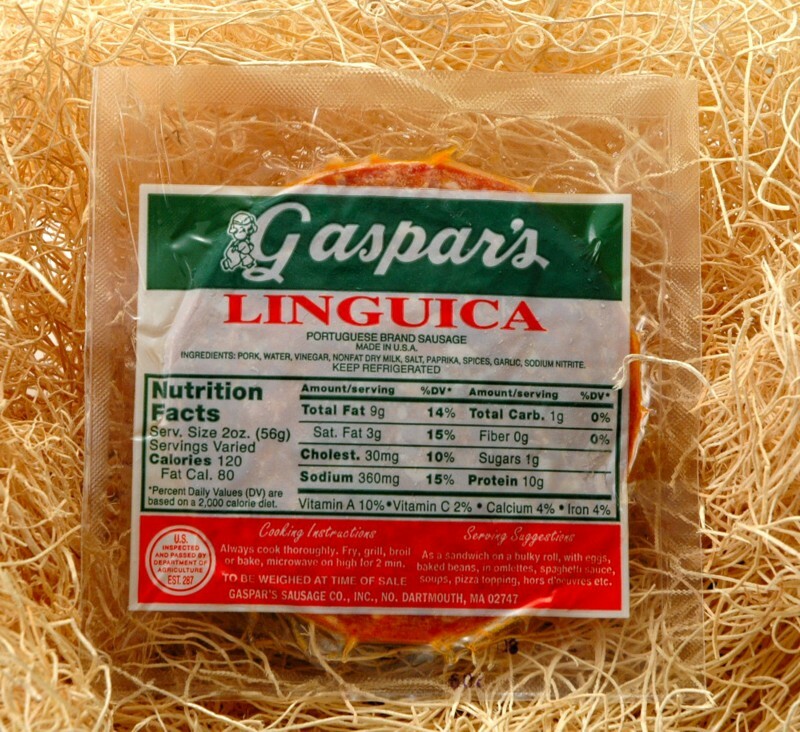 Home / Foods of New England / Hometown Food Favorites / Global Favorites / Local Portuguese Foods / Portuguese Meats & Seafood / Linguica Products / Gaspar's Linguica Slices 1 lb. Home / Specialty Grocery / Hometown Food Favorites / Global Favorites / Local Portuguese Foods / Portuguese Meats & Seafood / Linguica Products / Gaspar's Linguica Slices 1 lb. 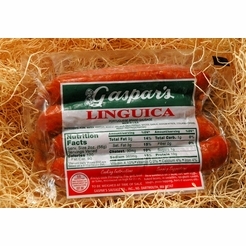 Home / Foods of New England / Local Portuguese Foods / Portuguese Meats & Seafood / Linguica Products / Gaspar's Linguica Slices 1 lb. Home / Local Portuguese Foods / Portuguese Brands / Gaspar's Portuguese Meats / Linguica Products / Gaspar's Linguica Slices 1 lb. Home / Pantry Items / Global Favorites / Local Portuguese Foods / Portuguese Brands / Gaspar's Portuguese Meats / Linguica Products / Gaspar's Linguica Slices 1 lb. Home / Specialty Grocery / Global Favorites / Local Portuguese Foods / Portuguese Brands / Gaspar's Portuguese Meats / Linguica Products / Gaspar's Linguica Slices 1 lb. Home / Pantry Items / Hometown Food Favorites / Global Favorites / Local Portuguese Foods / Portuguese Brands / Gaspar's Portuguese Meats / Linguica Products / Gaspar's Linguica Slices 1 lb. Home / New England Classics / Hometown Food Favorites / Global Favorites / Local Portuguese Foods / Portuguese Brands / Gaspar's Portuguese Meats / Linguica Products / Gaspar's Linguica Slices 1 lb. Home / Foods of New England / Hometown Food Favorites / Global Favorites / Local Portuguese Foods / Portuguese Brands / Gaspar's Portuguese Meats / Linguica Products / Gaspar's Linguica Slices 1 lb. Home / Specialty Grocery / Hometown Food Favorites / Global Favorites / Local Portuguese Foods / Portuguese Brands / Gaspar's Portuguese Meats / Linguica Products / Gaspar's Linguica Slices 1 lb. Home / Foods of New England / Local Portuguese Foods / Portuguese Brands / Gaspar's Portuguese Meats / Linguica Products / Gaspar's Linguica Slices 1 lb. Home / BBQ & Grilling / Meats & Breads for Grilling / Gaspar's Portuguese Meats / Linguica Products / Gaspar's Linguica Slices 1 lb. Home / Hot GIFT Ideas / BBQ & Grilling / Meats & Breads for Grilling / Gaspar's Portuguese Meats / Linguica Products / Gaspar's Linguica Slices 1 lb. Home / Hot GIFT Ideas / Gifts For Him / Party Favorites / BBQ & Grilling / Meats & Breads for Grilling / Gaspar's Portuguese Meats / Linguica Products / Gaspar's Linguica Slices 1 lb. Home / New England Classics / Clambake & Seafood / Meats & Breads for Grilling / Gaspar's Portuguese Meats / Linguica Products / Gaspar's Linguica Slices 1 lb. Home / Foods of New England / Clambake & Seafood / Meats & Breads for Grilling / Gaspar's Portuguese Meats / Linguica Products / Gaspar's Linguica Slices 1 lb. Home / BBQ & Grilling / Clambake & Seafood / Meats & Breads for Grilling / Gaspar's Portuguese Meats / Linguica Products / Gaspar's Linguica Slices 1 lb. Home / Hot GIFT Ideas / BBQ & Grilling / Clambake & Seafood / Meats & Breads for Grilling / Gaspar's Portuguese Meats / Linguica Products / Gaspar's Linguica Slices 1 lb. Home / Hot GIFT Ideas / Gifts For Him / Party Favorites / BBQ & Grilling / Clambake & Seafood / Meats & Breads for Grilling / Gaspar's Portuguese Meats / Linguica Products / Gaspar's Linguica Slices 1 lb. Home / Pantry Items / Hometown Food Favorites / Meats & Breads for Grilling / Gaspar's Portuguese Meats / Linguica Products / Gaspar's Linguica Slices 1 lb. Home / New England Classics / Hometown Food Favorites / Meats & Breads for Grilling / Gaspar's Portuguese Meats / Linguica Products / Gaspar's Linguica Slices 1 lb. Home / Foods of New England / Hometown Food Favorites / Meats & Breads for Grilling / Gaspar's Portuguese Meats / Linguica Products / Gaspar's Linguica Slices 1 lb. Home / Specialty Grocery / Hometown Food Favorites / Meats & Breads for Grilling / Gaspar's Portuguese Meats / Linguica Products / Gaspar's Linguica Slices 1 lb. Home / Local Portuguese Foods / Hometown Food Favorites / Meats & Breads for Grilling / Gaspar's Portuguese Meats / Linguica Products / Gaspar's Linguica Slices 1 lb. Home / Pantry Items / Global Favorites / Local Portuguese Foods / Hometown Food Favorites / Meats & Breads for Grilling / Gaspar's Portuguese Meats / Linguica Products / Gaspar's Linguica Slices 1 lb. Home / Specialty Grocery / Global Favorites / Local Portuguese Foods / Hometown Food Favorites / Meats & Breads for Grilling / Gaspar's Portuguese Meats / Linguica Products / Gaspar's Linguica Slices 1 lb. Home / Foods of New England / Local Portuguese Foods / Hometown Food Favorites / Meats & Breads for Grilling / Gaspar's Portuguese Meats / Linguica Products / Gaspar's Linguica Slices 1 lb. 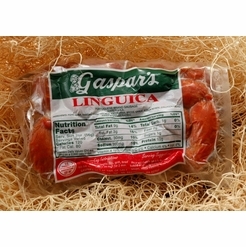 Home / Pantry Items / Hometown Food Favorites / Gaspar's Portuguese Meats / Linguica Products / Gaspar's Linguica Slices 1 lb. Home / New England Classics / Hometown Food Favorites / Gaspar's Portuguese Meats / Linguica Products / Gaspar's Linguica Slices 1 lb. Home / Foods of New England / Hometown Food Favorites / Gaspar's Portuguese Meats / Linguica Products / Gaspar's Linguica Slices 1 lb. Home / Specialty Grocery / Hometown Food Favorites / Gaspar's Portuguese Meats / Linguica Products / Gaspar's Linguica Slices 1 lb. Home / Local Portuguese Foods / Hometown Food Favorites / Gaspar's Portuguese Meats / Linguica Products / Gaspar's Linguica Slices 1 lb. Home / Pantry Items / Global Favorites / Local Portuguese Foods / Hometown Food Favorites / Gaspar's Portuguese Meats / Linguica Products / Gaspar's Linguica Slices 1 lb. Home / Specialty Grocery / Global Favorites / Local Portuguese Foods / Hometown Food Favorites / Gaspar's Portuguese Meats / Linguica Products / Gaspar's Linguica Slices 1 lb. Home / Foods of New England / Local Portuguese Foods / Hometown Food Favorites / Gaspar's Portuguese Meats / Linguica Products / Gaspar's Linguica Slices 1 lb. Home / Popular Brands / Gaspar's Portuguese Meats / Linguica Products / Gaspar's Linguica Slices 1 lb. Home / Hot GIFT Ideas / Holiday Entertaining / Gaspar's Portuguese Meats / Linguica Products / Gaspar's Linguica Slices 1 lb. Home / Foods of New England / Brands (New England Favorites) / Gaspar's Portuguese Meats / Linguica Products / Gaspar's Linguica Slices 1 lb. Home / Pantry Items / Meats & Seafood / Meat & Refrigerated Food Brands / Gaspar's Portuguese Meats / Linguica Products / Gaspar's Linguica Slices 1 lb. Home / New England Classics / Meats & Seafood / Meat & Refrigerated Food Brands / Gaspar's Portuguese Meats / Linguica Products / Gaspar's Linguica Slices 1 lb. Home / Hot GIFT Ideas / Gifts For Him / Meats & Seafood / Meat & Refrigerated Food Brands / Gaspar's Portuguese Meats / Linguica Products / Gaspar's Linguica Slices 1 lb. Home / Foods of New England / Meats & Seafood / Meat & Refrigerated Food Brands / Gaspar's Portuguese Meats / Linguica Products / Gaspar's Linguica Slices 1 lb. Home / Meats & Seafood / Meat & Refrigerated Food Brands / Gaspar's Portuguese Meats / Linguica Products / Gaspar's Linguica Slices 1 lb. Home / Specialty Grocery / Meats & Seafood / Meat & Refrigerated Food Brands / Gaspar's Portuguese Meats / Linguica Products / Gaspar's Linguica Slices 1 lb. Home / Hot GIFT Ideas / Gifts For Him / Party Favorites / Meats & Seafood / Meat & Refrigerated Food Brands / Gaspar's Portuguese Meats / Linguica Products / Gaspar's Linguica Slices 1 lb. A Portuguese sausage that is mild, lean, and full of spices. These spices are a secret blend (over 100 years old) and when the meat is slowly smoked and cooked in a smoke house... you can imagine the delicious taste of the final product!!! These sausages are great for sandwiches, chili, stuffing, pizza toppings, or on the grill.